Email your photo to me and I'll be happy to create this custom mourning cockade for you! Victorians often put a small tintype of the deceased on their mourning badges as way of publicly honoring their memory. 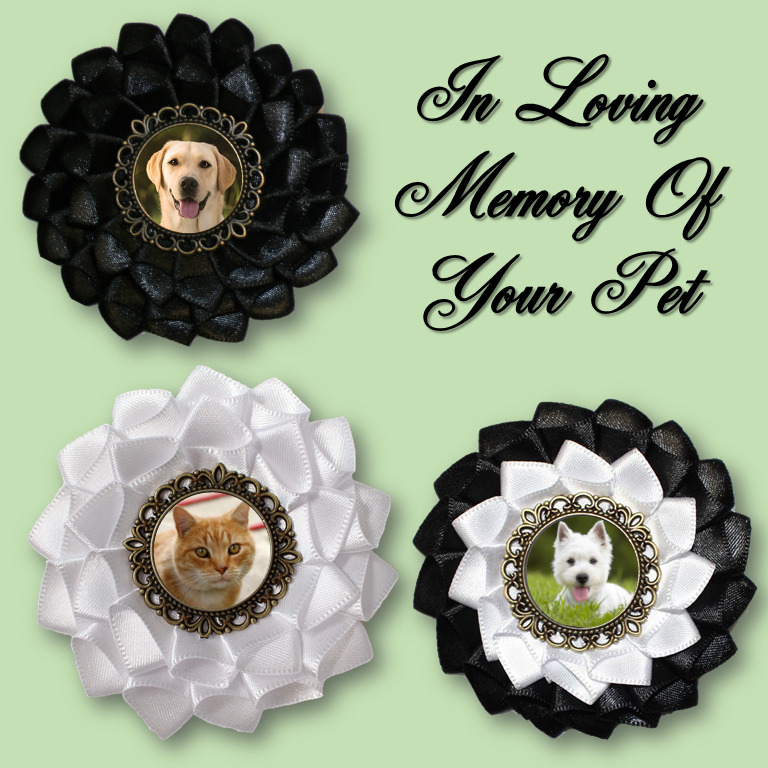 This is a beautiful way to remember your furry friend.